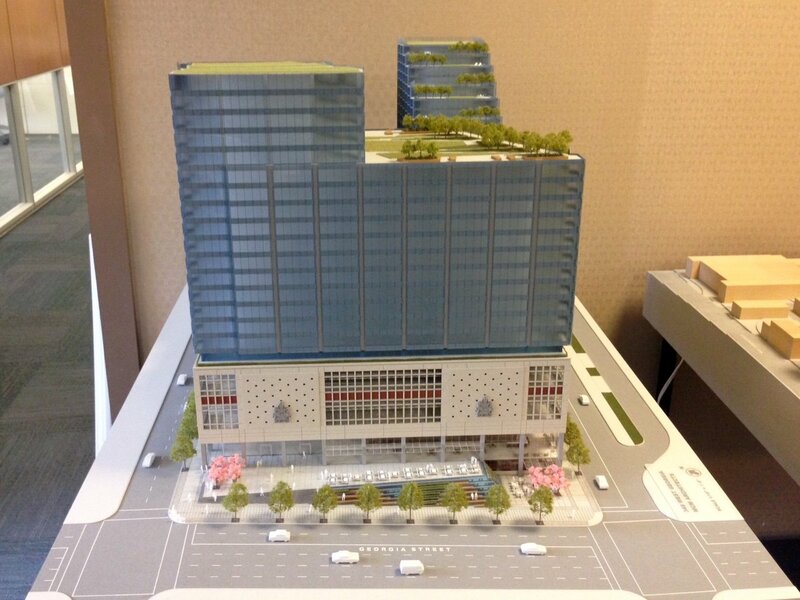 We now have a better picture of redevelopment plans for the downtown Vancouver post office, the largest heritage revitalization project in city history. 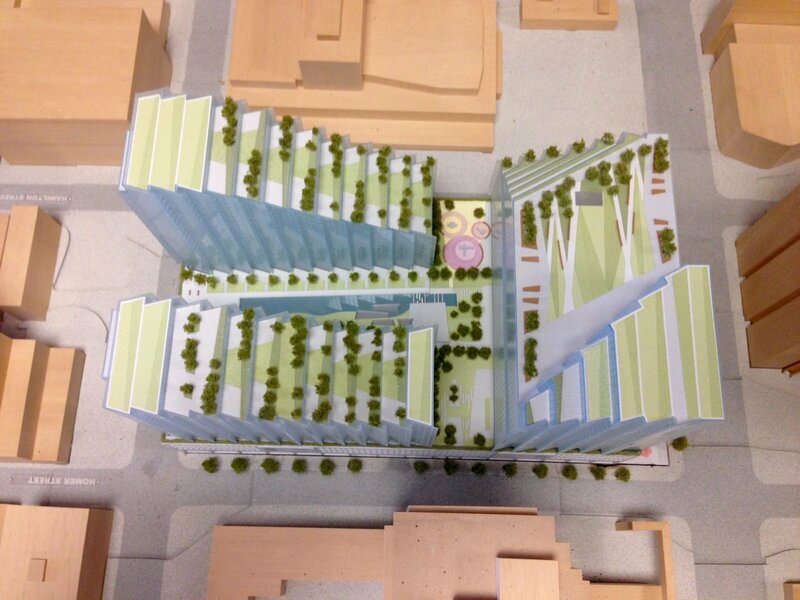 Musson Cattell Mackey Architects, on behalf of Bentall Kennedy, acting for the B.C. 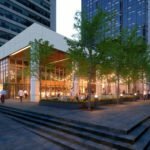 Investment Management Corp, have submitted their detailed application to the city to rezone old post office site at 349 West Georgia Street, across from the library. The iconic building was originally constructed in 1958 and covers an entire city block. At the time of its construction, it was the was the largest welded steel frame structure in the world. 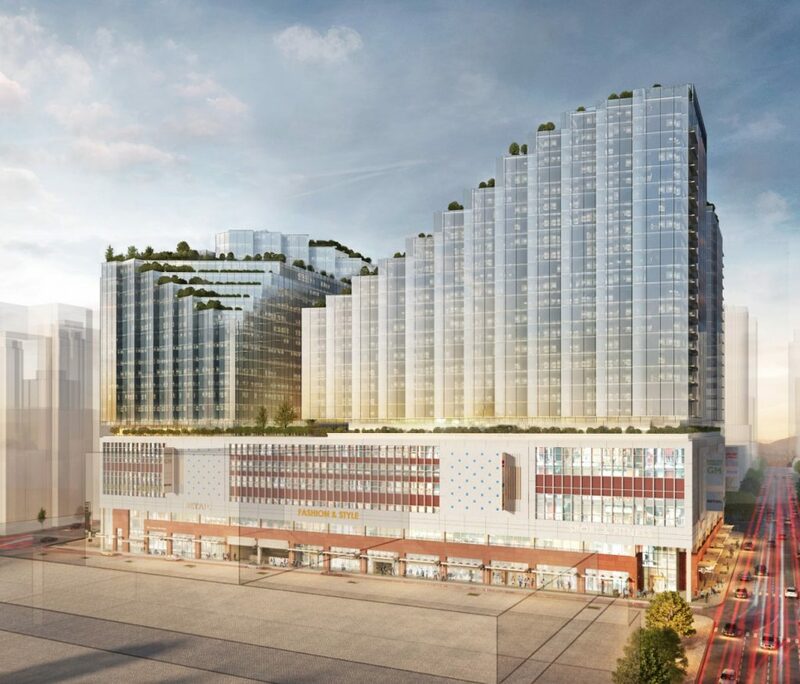 The redevelopment, tentatively called “Post on Georgia”, includes the following components in a comprehensive mixed-use form of development: office, large-format retail, market rental and condominium residential, restaurants and childcare space. There will also be on-site public open space fronting West Georgia Street. 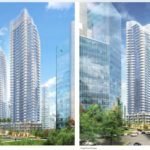 Three towers will be added above the existing podium, including 17 storeys of office, and 18 and 20 storeys of residential. 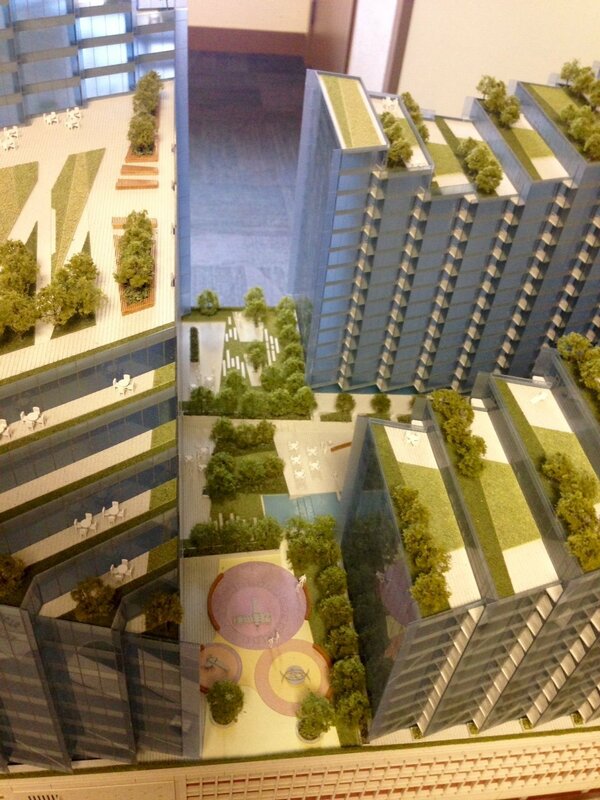 The modest heights of the buildings are restricted by view corridors over the site. 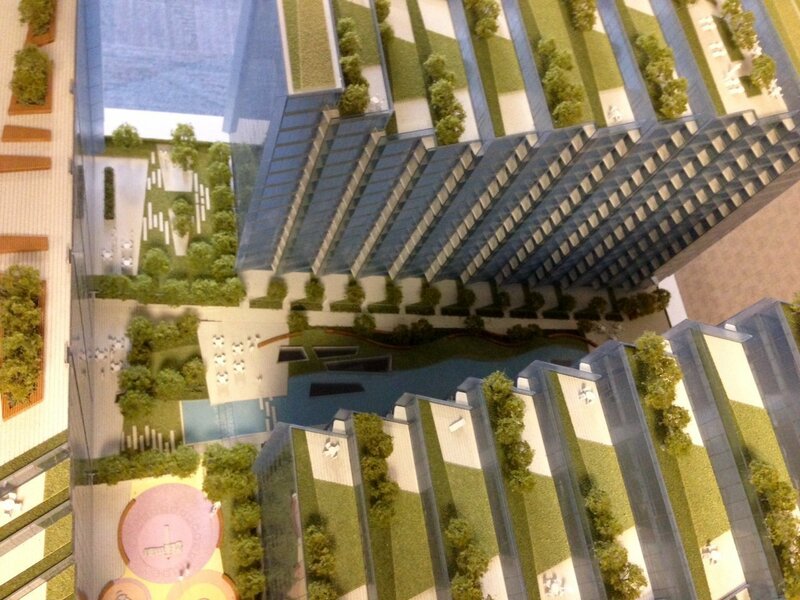 However, these towers will be added on top of the already existing podium, increasing their heights by seven storeys. Heritage advocates will be pleased to learn that the redevelopment will retain almost all of the existing structure of the post office, with extensive heritage restoration planned of the building’s unique features, including the large crests on the exterior of the building and the large mural inside. 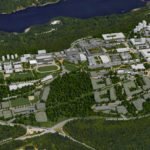 The developer hopes to achieve LEED Gold Neighbourhood Development for the project. The office building will constructed to a LEED Platinum standard. 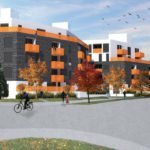 The development will feature a patio and steps fronting West Georgia Street. Development as seen from Homer Street. Development as seen from Georgia and Homer. 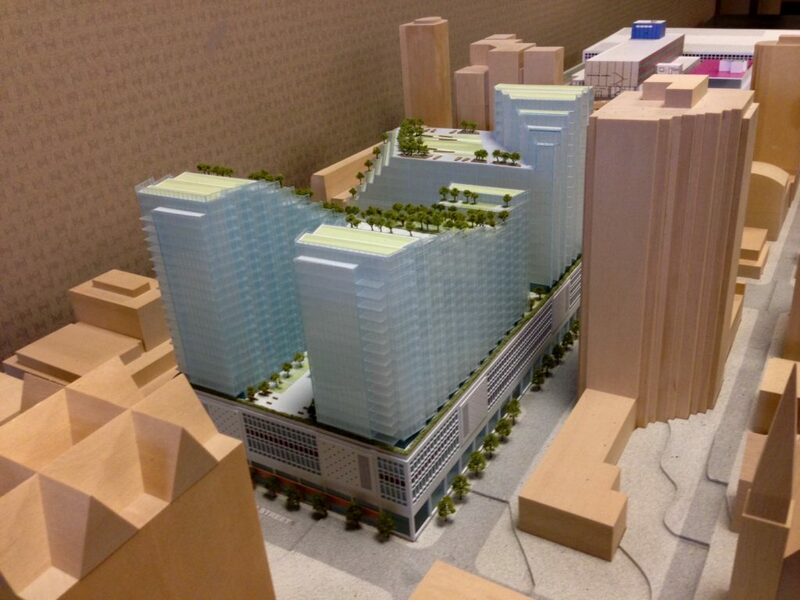 Model as seen from Dunsmuir Street. 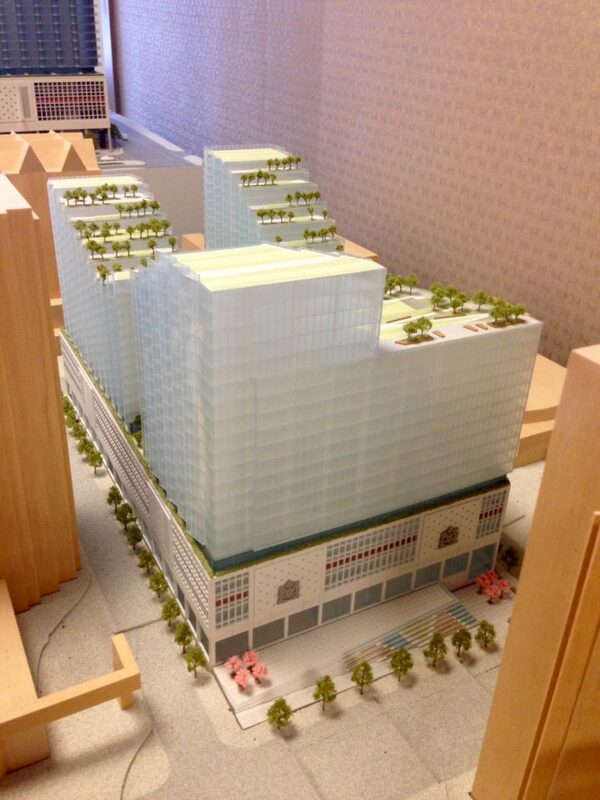 Model of the Vancouver post office redevelopment, as seen from above. 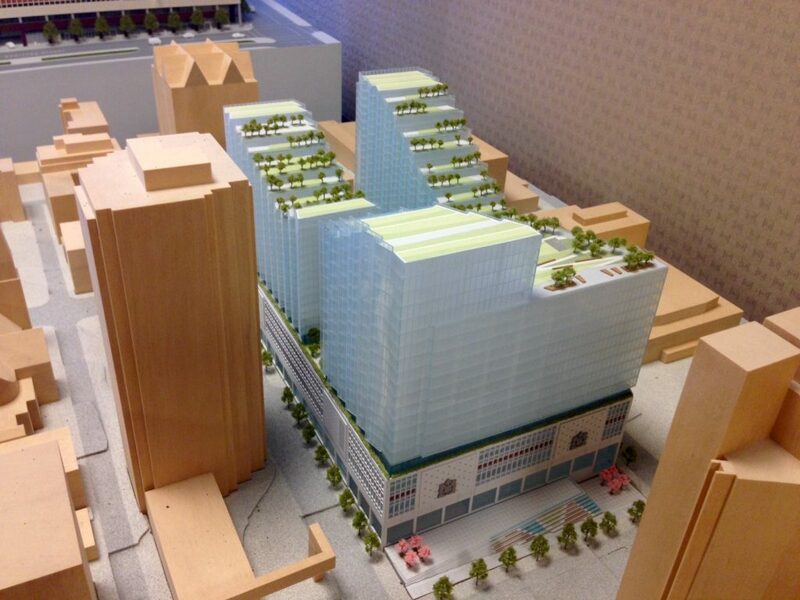 Model as seen from the Vancouver Public Library, showing patio fronting West Georgia Street. Development as seen from Hamilton St., across from the Queen Elizabeth Theatre. 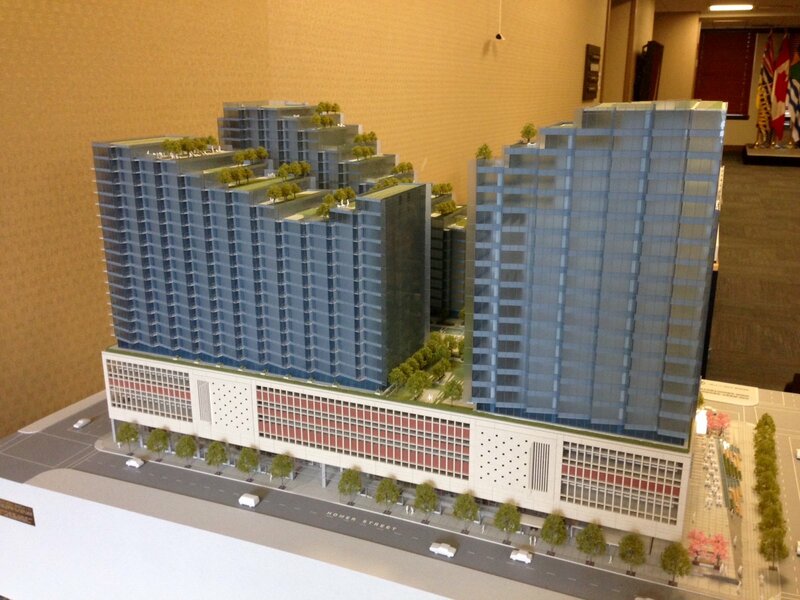 Model of the Vancouver post office redevelopment, showing a water feature on the roof top. 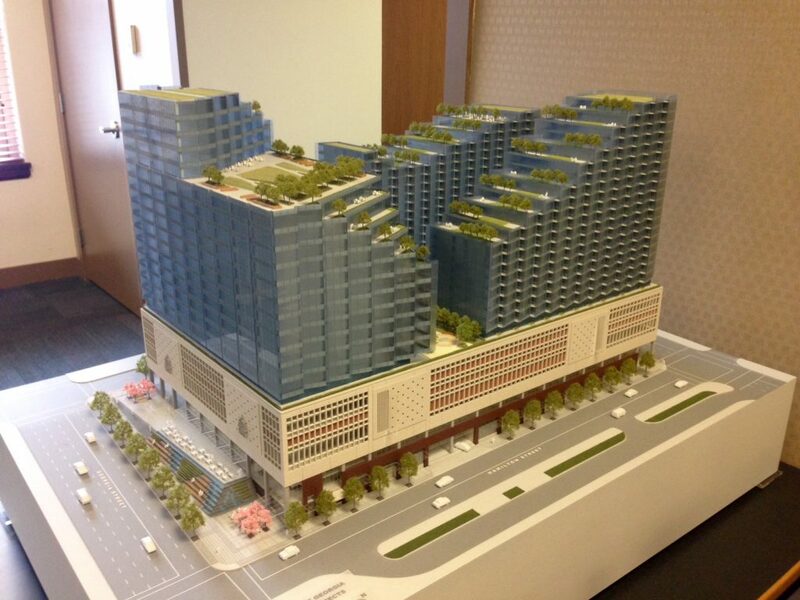 Model of the Vancouver post office redevelopment, showing the roof top. Total retail 273,829 sq. ft.
Total office: 512,336 sq. ft.
Total residential: 705,886 sq. 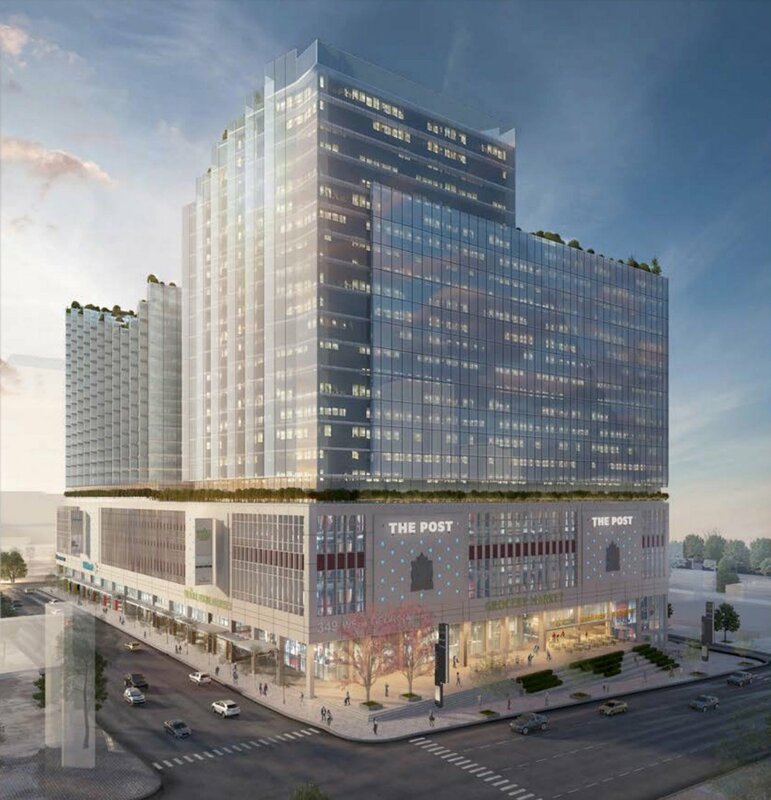 ft.
Apart from almost 1,000 new residential units and office space, the redevelopment will bring several highly-desired large format retail spaces to the downtown core. There will be a 25,000 sq ft retail space on the lower level, as well as two large retail spaces (each approximately 35,000 sq ft) on the third floor, and two large retail space on fourth floor (each approximately 40,000 sq ft each). Conceivably, the retail spaces on the third and fourth floors could be combined to house larger retailers with escalators and elevators between floors. It has been widely reported – including on this website – that Uniqlo is looking for space in downtown Vancouver. 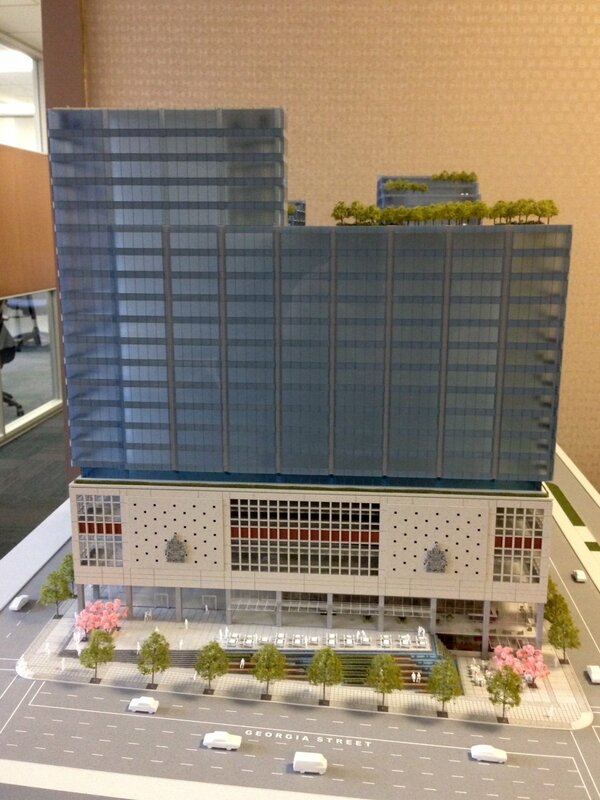 Pacific Centre has also been floated as a possible future location for a Uniqlo store in downtown Vancouver. 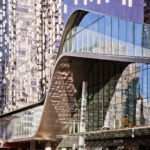 Other major retailers currently looking for space downtown include Loblaws CityMarket, Whole Foods, Simons, and Walmart. 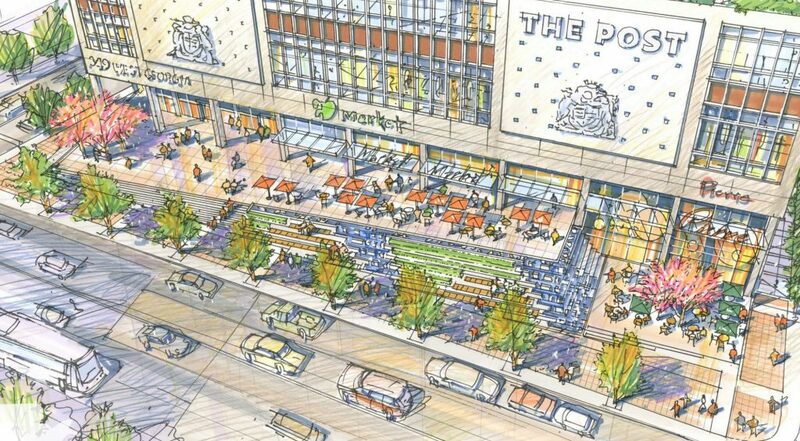 Renderings of the ground floor depict a grocer, but that is subject to change. 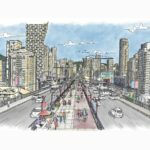 Earlier in 2016, a retail consultant told the Globe and Mail that the project will likely focus on retail that isn’t fashion or luxury, because those niches are established already around Granville and Alberni. View of The Post redevelopment of the downtown Vancouver post office, looking north on Homer. View of The Post redevelopment of the downtown Vancouver post office, looking west on Dunsmuir. Drawing of The Post redevelopment of the downtown Vancouver post office, showing the West Georgia Street retail frontage.